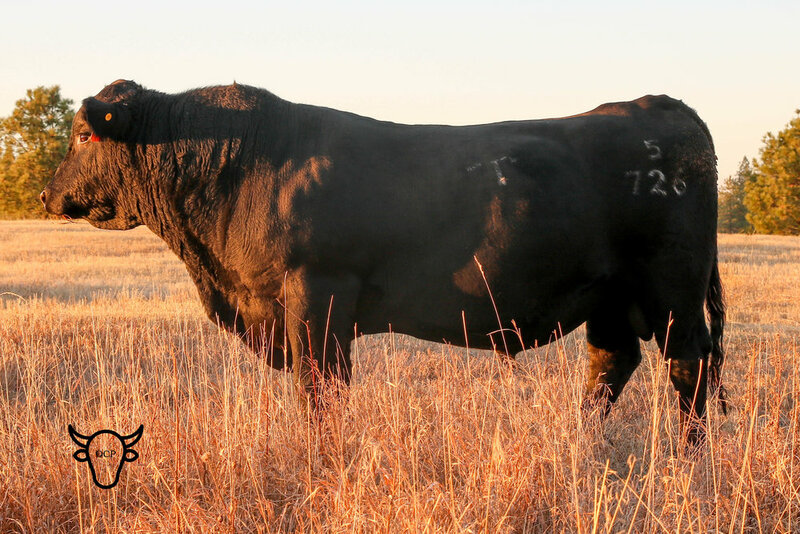 This docile sire managed a weaning ratio of 103 across all of his calves for 2018. His bull calves averaged in the 700s at weaning and the heifers were in the high 600s. GB Calvin Fury is at Treasure Bull Test as lot 84. Treasure Bull Test lot 84 is GB Calvin Fury - taken in September 2018. He is a great blend of Quaker’s growth and Millie’s refined looks. Second dam to MBT 296 and dam to Treasure Bull Test 84. SHB Kathy Y188 turns eight years old and shows no sign of slowing down. Incredible calves year after year. She has great feet for out on the range, calves easily and knows her job. GB April Traveler is dam of TBT 84. She is a young, powerful cow who is even from front to back with a great udder and perfect feet. She posed for a quick snap during feeding in Feb 2019. GB Panther X shown in September 2018. He is maternal sibling to herd sire GB Murphy X. He is offered private treaty from the ranch. 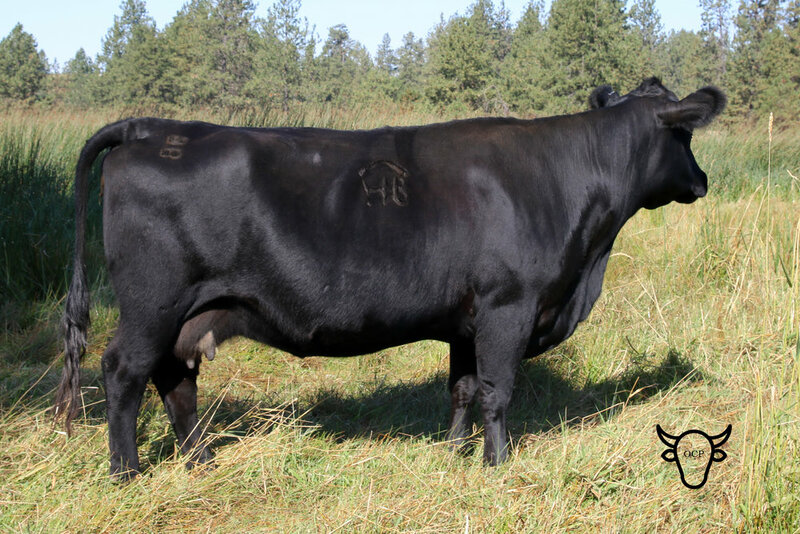 His specialty will be heifers, longevity and well-rounded carcass traits.